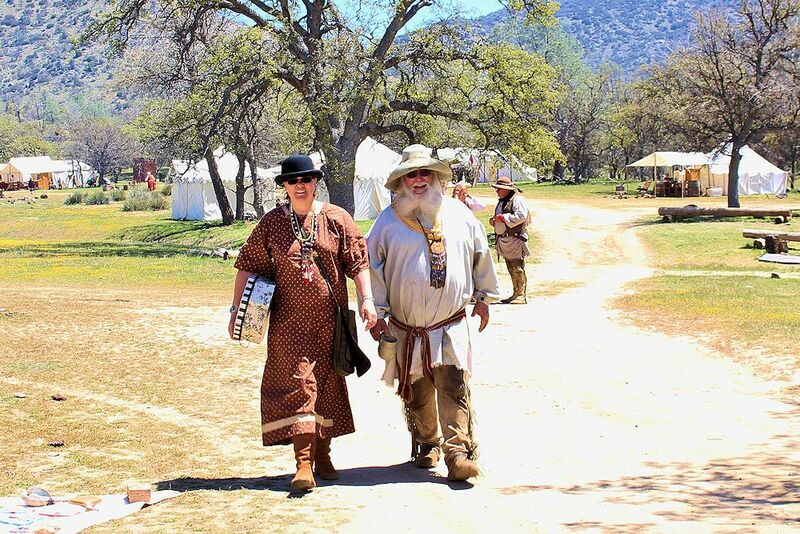 History comes to life at the 3rd Annual Groveton Civil War Weekend Battle of Blackjack Grove Grove on February 15-17, 2019 at the Groveton Indian Athletic Complex in Groveton, Texas. The Trinity County Chamber of Commerce and 3rd Regiment of Texas Cavalry Living History Troupe will host a living history camp, complete with civil war battle reenactments. Feel the ground shake as cavalry charge to battle; hear cannons roar as artillery fire; and watch infantry clash in combat. Camps will open Friday from 9:00 A.M. to 2:00 P.M. for school children from across the area on School Day. On Saturday and Sunday, Camps will open for the general public at 9 AM with battles at 2 PM on Saturday and 2 PM on Sunday. A 19th century ball will be held on Saturday night starting at 7 PM. Church services will be held at 10 AM on Sunday. Civil War Reenactors from The 3rd Regiment of Texas Cavalry along with others play the roles of infantry soldiers, artillery gunners, cavalry, medical corps, civilians and others. Explore the grounds of the Groveton Civil War Weekend Battle of Blackjack Grove throughout the day to find demonstrations such as spinning and weaving, soapmaking, blacksmithing, woodworking, cooking and more. Enjoy your favorite festival food as well as modern vendors. Friday is dedicated to School Day. Students from area counties will be invited to visit the event. Groveton Civil War Weekend Battle of Blackjack Grove reenactors will hold demonstrations on weapons, clothing, food preparation and camp living. Students will especially enjoy participating in the mid-day skirmish. It will be an educational experience the many children will never forget. The Trinity County Chamber of Commerce, The 3rd Regiment of Texas Cavalry Living History Troupe, The City of Groveton and Groveton ISD are pleased to invite your school to attend a Day of Learning to draw attention to the history and romance of the civil war way of life. The Living History Camps will be on hand to demonstrate Camp Life and Military Activities. Students will also have an opportunity to participate in a mid-day skirmish. Due to the limited capacity for this event, reservations are required. Directions: Groveton Athletic Complex, Highway 94 and 6th St. Groveton, Tx. Follow the signs. What to Wear: Walking shoes, jeans, jacket. You will be in a pasture. What to Bring: Lunch, if not purchasing from concessions. Food items, Snacks, Sodas and Water will be available for purchase. Please feel free to call if you have any questions. Contact Cheryl McMahon 936-707-4596 or The Chamber Office 936-642-1715. Warm regards, Jack McMahon President, Chamber of Commerce. Saturday 10:00 A.M. Parade begins at 4th & Main, ending at the Town Square with a Battle Skirmish. Saturday night a 19th Century Period Ball will be held in the Old Gym @ Groveton Elementary School (Period dress suggested) Door Prizes & Best Costume. The public is invited to put on their best antebellum Sunday Go-to-Meetin’ finery and join the fun at the Groveton Civil War Weekend Battle of Blackjack Grove. Vendors must have your booth set up and ready to operate by 9:00 a.m. Friday until closing @ 2:00 p.m. and on Saturday and Sunday 9:00 a.m. – 4:00 p.m. Vendors must supply their own tables and chairs, awnings, etc. Camp will be open for set up Thursday @ noon. 2 – 10 lbs of powder ration will be issued to registered mounted artillery. Registration will be available on Thursday beginning @ noon. NO camp set up on Friday during school day; will begin @ 3:00 after all students and buses are gone. Dinner and period Dance will be held on Saturday evening at no charge. Dinner @ 5:30 p.m.
Dance begins @ 7:00 p.m. Door prizes and Best Costume prizes. Absolutely NO Artillery Fire after 5:00 pm – NO EXCEPTIONS! After the war, many of the survivors returned to Trinity County, where they founded Groveton. Today, many county residents are descendants of the three companies of soldiers that the county provided during the Civil War. The Groveton Civil War Weekend is an effort to continue to re-enact the history of our county, state, and nation because it is imperative that younger generations appreciate and remember the past so they won’t make the same mistakes. Where did they get the name of this battle that never happened? Since Groveton didn’t exist during the Civil War, organizers decided to name the battle after where Groveton got its name: a grove of Blackjack oak trees just outside of town! Mark your calendar today so you don’t miss the next Groveton Civil War Weekend Battle of Blackjack Grove in February at the Groveton Indian Athletic Complex in Groveton, Texas.